I was hoping to have my latest crochet project ready for sharing with you this week. Unfortunately I decided I wasn’t very happy with it so I’ve pulled it all out and started over… You can see why on my facebook page! The good news is that I have this project to share with you from Christmas time. If you have ever wondered what to get your older relatives, why not give lino-printed tea towels a go? These make good gifts for people who have everything they want already (everyone needs new tea towels every now and again!) especially if you combine them with some jars of homemade jam and chutney like I did. 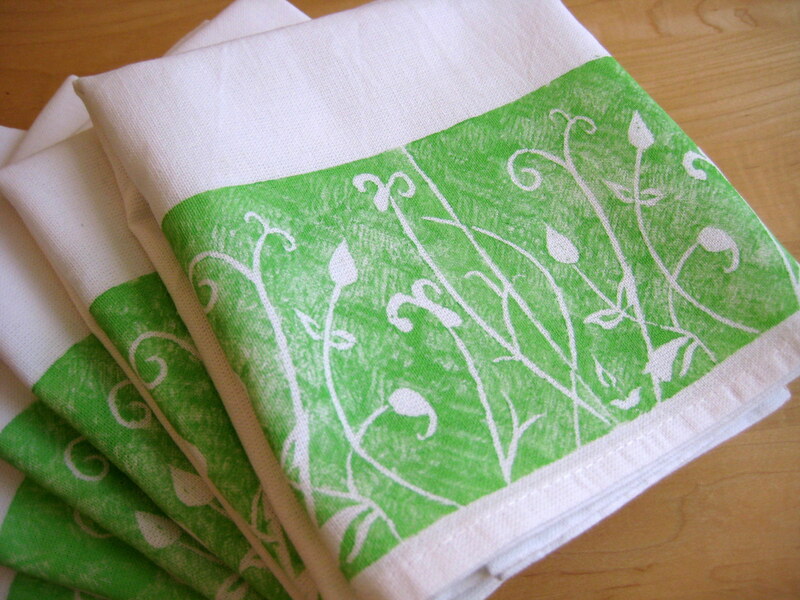 Lino printed tea towels – great gifts! 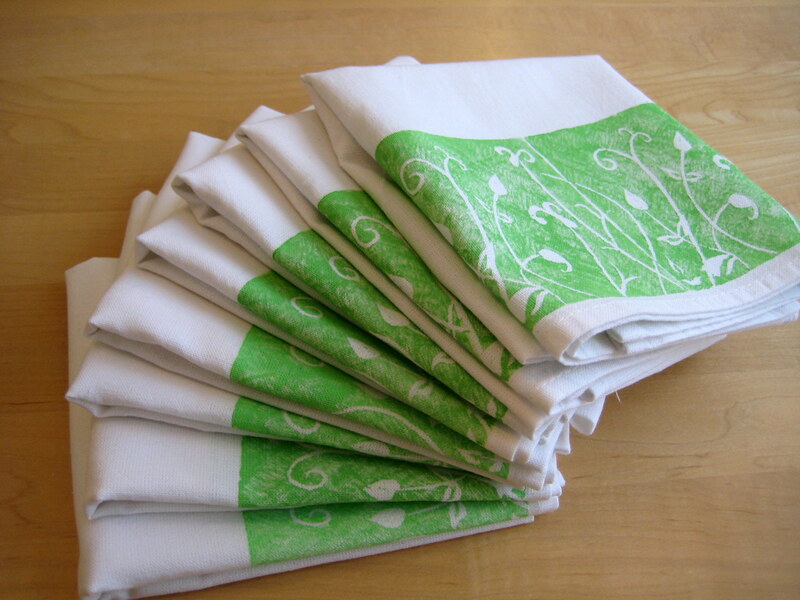 I decided on a foliage theme as it matches most of the kitchens I knew these tea towels would live in. To keep the pattern on a repeat I sketched it out on squared paper so I could line up the stems which crossed over the “join”. 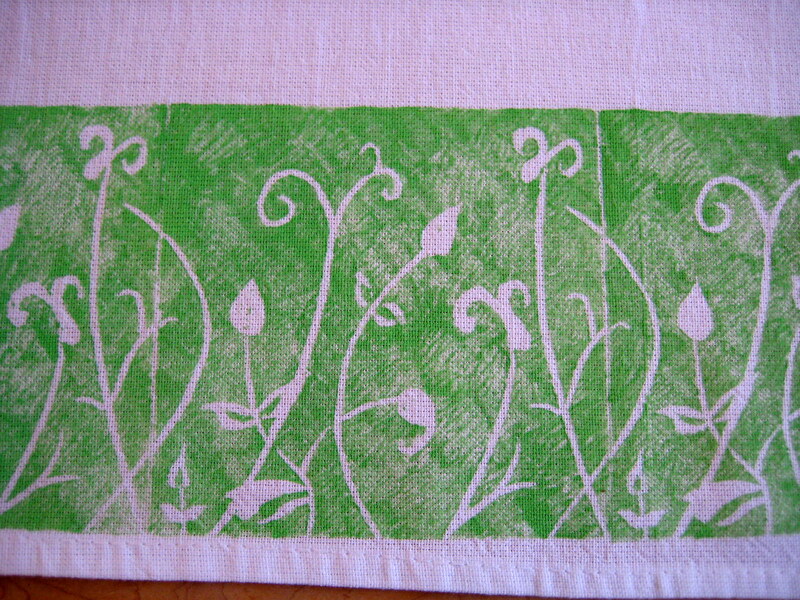 It took me a few goes to get the printing technique right – fabric paint is more slippery than regular linoprinting ink. So now I have the tea towel which didn’t print quite right in my own kitchen. A reminder to persevere with my current crochet project! 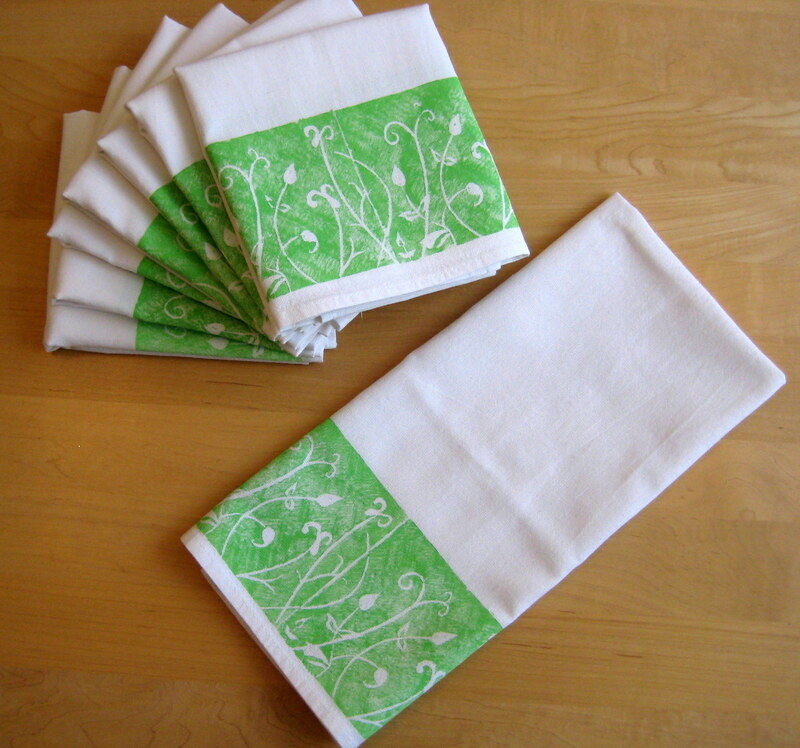 Such a good idea – something personal and hey – who doesn’t use tea towels. Loving these, grandparent can be so difficult to buy for so this is a great idea. Thanks for sharing then link to the printing techniques.